Waterfall Info: This is the middle of three falls on low-flow Falls Branch. It's best seen during periods of high flow. 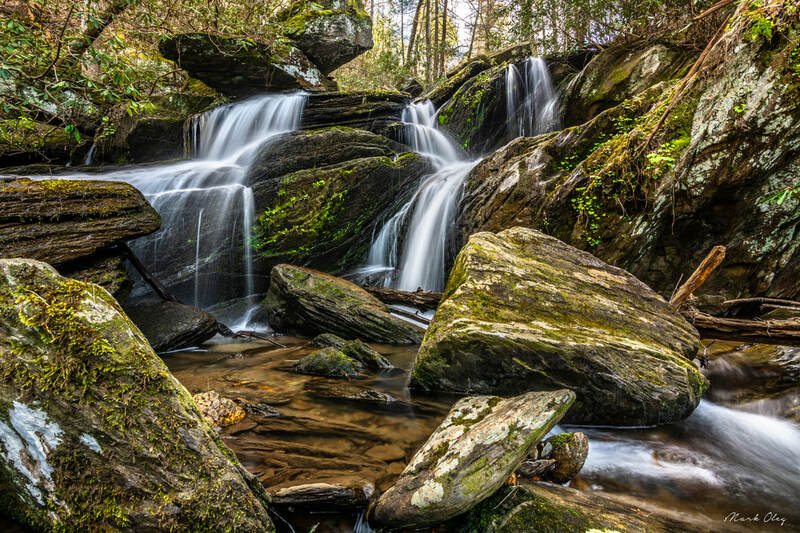 Access Info: To get to Upper Bigfoot Falls, first follow an unofficial horse trail from the Horseshoe Bend Trailhead off FS 51 (East Cowpen Road). Then, leave the trail and make a fairly open bushwhack down the draw to the creek with Moonshine Falls. While Moonshine Falls is to the right, you must turn left and follow the creek 0.4 mile to Upper Bigfoot Falls. Do not attempt to reach the base of Bigfoot Falls, 250 feet away, from here.